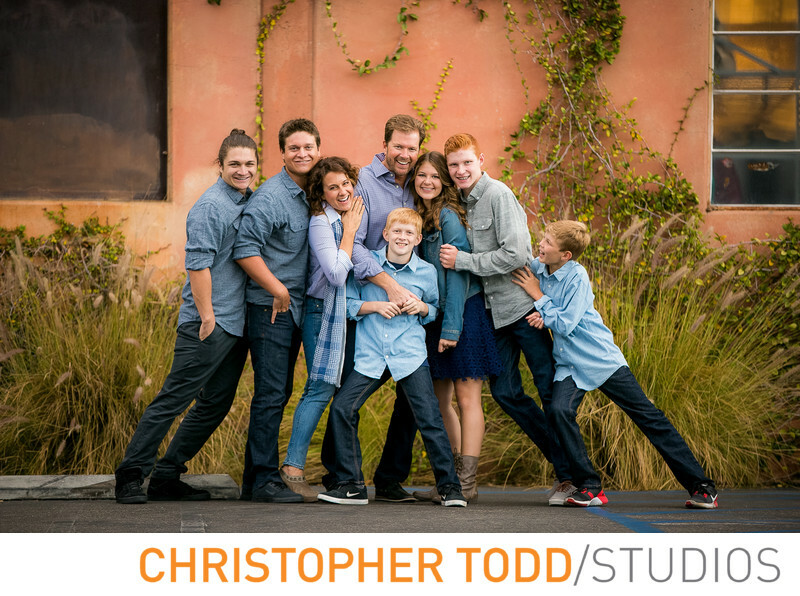 Your family will love their portrait taken in Orange County. As your photographer I will take amazing photos of your family. In this photo the family wore fall outfits including scarves and boots. The six siblings huddled around their parents for a fun picture. This will make a great holiday card. We can help you choose a location for your family portraits. Orange County has so many great spots from an urban setting like this photo in Costa Mesa, beaches, parks, or in our studio. We make the process easy for you. Give us a call or get in touch today. 1/80; f/2.8; ISO 500; 170.0 mm.